Think of eating red chillies, we can’t even imagine! Who would want to get into such stuffs, isn’t it? Think of putting a burning coal over the tongue! You’ll cry out in burn. But what has happened to a person in New York is far beyond our imagination. That Person while in a competition, ate Carolina Reaper. The world’s hottest pepper, Carolina Reaper. 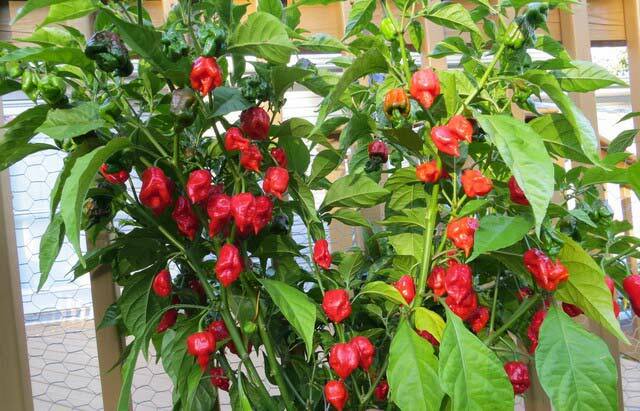 It produces two million Scoville heat units. So you can now determine how hot it can be. Recently a person aged 34 years is admitted in the Bassett Medical Center in Cooperstown, New York. The reason is Carolina Reaper which costed the person the emergency room. He was sent to the emergency room because he couldn't bear the pain. He ate a whole Carolina Reaper while participating in a hot pepper- eating Competition. It landed him in the hospital with the thunderclap headaches. He started feeling the burn and dryness then the aches in his head and neck and a feeling to cut his tongue. Thunderclaps are severe enough that strike the brain with an intense pain and can cause bleeding or infection in the brain. Reaper causes immediate pain within 60 seconds leading to headaches, nausea, vomiting, altered mental state, seizures, and fever. "He faced arteries going narrow in his scan reports of head and neck in BMJ Case Reports. Then CT angiography was done, which showed narrowing of the blood vessels in the brain,” Gunasekaran said. You could see the beaded appearance [of the arteries], and the yellow arrows point to the narrowing of the blood vessels. But the doctors said that the person didn't have any muscle weakness, tinglings or deficits. His blood pressure was 134/69 mmHg i.e. little high. The scientific term for this temporary narrowing of arteries is reversible cerebral vasoconstriction syndrome. Dr. Lawrence C. Newman, a neurologist and director of the headache division at NYU Langone Health, said, “ It indicates the stroke that result in brain bleeding. If such kind of headache happens it becomes really urgent to get some medical attention whether you’ve bitten into a pepper or not.” Hot peppers have a high concentration of capsaicin, a chemical responsible for the spiciness of certain foods. The substance is known to cause constriction of blood vessels in some parts of the body. That is over 400 times spicier than jalapeño peppers, which average 3,500 to 8,000 on the Scoville scale, according to a 2013 study. “This is the first time that pepper has been related to RCVS,” Gunasekaran said. In a study, a person aged 25 had heart attack and coronary vasospasms after taking cayenne pepper pills to lose weight containing large amounts of capsaicin. Some of the cases gets severe.Treatment for RCVS typically consists of removal of the offending substance and supportive care such as pain management after which the patient’s symptoms gets improved and he gets released from the hospital after a few days.